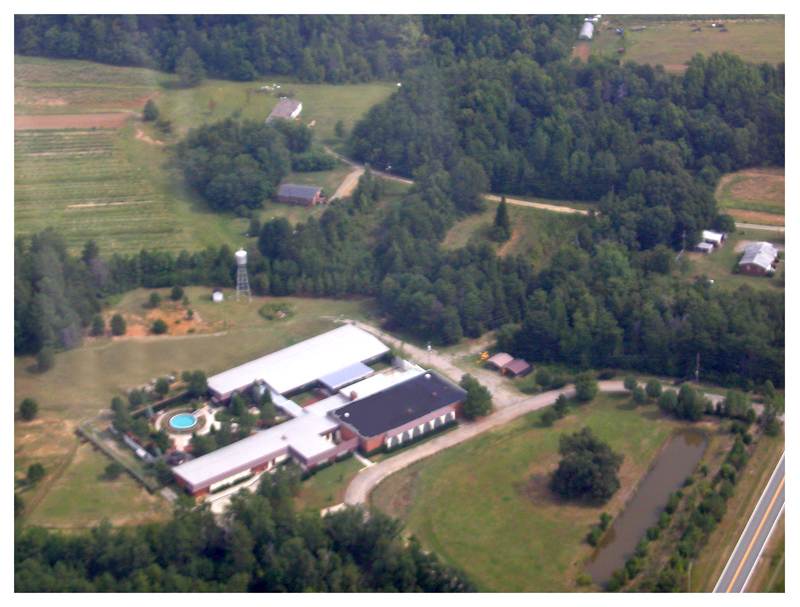 The grand opening of the Lakulish Yoga and Health Retreat (Life Mission USA), took place May 15th - 16th, 2010, at Mebane, North Carolina, USA. Swami Satyanand addressed the large gathering present and explained why a sannyasi (spiritual renunciate) would be found among worldly people rather than practicing his Yoga in seclusion. As well, he provided some of the background behind the creation and purpose of the Retreat. He explained that he had taken sannyas initiation solely for the purpose of attaining liberation, but that he had since been instructed by his Guru, Swami Rajarshi Muni, to go to the West to propagate the principles and practices of sanatan dharm and Yoga according to the Divine Command of Lord Lakulish, the 28th incarnation of Lord Shiva, and Head of the lineage. In this way, this ashram has been chosen and developed exclusively for the inspiration and education of the all. He went on to explain that his Guru, Swami Rajarshi Muni, had attained to a very high stage of Yoga, and that on February 1993, Lord Lakulish (28th incarnation of Lord Shiva) appeared before him and gave him darshan and Shambhavi Diksha, thereby granting him entry into Divine Yoga, which leads to the highest goal of Yoga - the transformation of the gross body into a Divine Body. At this time, Lord Lakulish also gave Swami Rajarshi Muni a Divine Command to come out of his secluded sadhana and to work for the world wide resurgence of sanatan dharm (the eternal culture) as well as to propagate Bhakti Yoga, Karma Yoga and Jnan Yoga, Yoga being the universal science of liberation. Lord Lakulish explained that a person can progress only if his or her physical and mental development takes place along with his spiritual development. He further explained that Dharm represents the sum total of morality, truthfulness, restraint and right conduct and that the time was ripe for mankind, worldwide, to regain the knowledge of sanatan dharm for its very salvation. Swami Satyanand outlined the purpose and goals of the Lakulish Yoga and Health Retreat and the programs and activities it will offer at the retreat throughout the year, including Yoga classes, health retreats, workshops, seminars, certificate programs and summer youth camps. These are aimed at the purification of body and mind, which, in turn, leads to one's spiritual development. Swamiji Satyanand outlined the path of Dharm as the guiding principle in life that also encompass natural laws, moral laws and laws of intrinsic justice wherein every meritorious act brings rewards, while sinful acts incur punishment. It also includes universal religious rites and transcendence of the Spirit through Yoga. Sanatan dharm is open to all and cries out, "May we receive from all directions ideas and principles of true and everlasting value that will lead us to outstanding actions and works." Thus, sanatan dharm is both generous and universal. It has a place for the atheist; the theist; the materialist; the spiritualist; for those who believe in creating their own future as well as for those who would surrender to the dictates of destiny. In this way there is a place for all religions, races and philosophies at the Lakulish Yoga and Health Retreat. The ancient scriptures of India are also varied in their approach. The philosophy of Vaisheshika, for example, talks of materialism and sub-atomic theory; the Nyay philosophy addresses logical inferences; Purva Mimansa, religious rites; Vedanta addresses knowledge. Finally, Sankhya philosophy does not reference God, but only references spirit and nature. The beauty of the Indian scriptures is that one may begin with any ideology, but one ends up with the same ultimate truth. For example, you may start with materialism, searching for the secrets of the material world, and end up with spirituality. As Albert Einstein said, "everyone who is seriously involved in the pursuit of science inevitably becomes convinced that a Spirit is manifest in the laws of the universe - a Spirit vastly superior to that of man and one, in the face of which, we, with our modest powers, must feel humble." Similarly, Pierre Teilhard de Chardin said, "Neither in its impetus nor in its achievements can science go to its limits without becoming tinged with mysticism and charged with faith." Thus, all these philosophies, combined with the practice of Yoga, will be taught here at the Ashram. It should be understood that Yoga is not a religion. It is a pure science and scientific experiments can be carried out by anyone. Yoga makes one fully aware and inwardly consciousness of one's "whole being" through experiences on the spiritual plane. In this way, it is a unified system that begins with purification and progresses toward the more subtle phases of mental and spiritual development. The Lakulish lineage teaches a most esoteric science - the science of the Divine Body. It leads one to total liberation. As stated, it is a science, and, therefore, it is not based on any particular creed or religion. So, no matter what religion you practice or what ideology or philosophy you follow, you have a place in this Ashram irrespective of race, culture, gender or nationality. When one goes to a church, temple or synagogue, one goes there for worship, but here you not only have worship, but you also have the true scientific practice that God has recommended for all of mankind. Swamiji concluded his discourse by stating that this beautiful and peaceful Ashram has been created for you. Come and take full advantage of it! Per Sanskrit dictionary the meaning is " The opening in the crown of the head through which the soul is said to escape". Its a kind of mudra. Shambhavi Mudra indicates an inner focus with the outside vision free from blinking. When the yogi reaches khichari mudra, Lord shiva appears before him to test him and give him the technique to leave the body and to move in the cosmos. It's an entry to the subtle world.